Zurich-based Unilode Aviation Solutions, a leading supplier of outsourced Unit Load Devices (ULDs) and management and repair solutions, has won another airline customer. Nepal Airlines corporation has chosen Unilode to supply them with pallets and lightweight containers for their Airbus A330-200 fleet. The carrier has received two new A330s and has started international operations with the first aircraft in August. 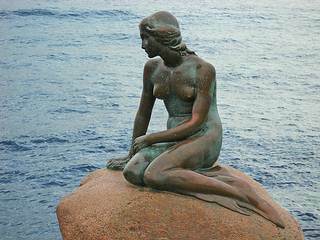 The Latin American freight carrier has opened an offline hub on 1st September in Denmark’s capital, Copenhagen. 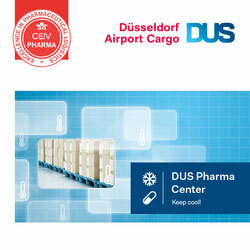 From Kastrup airport, regular GDP-compliant re-frigerated truck services will transport temperature sensitive pharma products to LATAM’s online stations in Amsterdam and Frankfurt. This way, the CPH hub will feed the carrier’s European flights to Viracopos-Santiago-Montevideo-Brasilia, and Guarulhos, thereby improving the service provided to pharma companies in the Nordic countries. 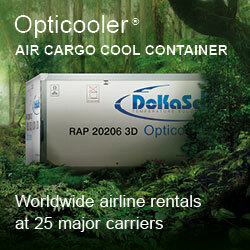 This enables LATAM Cargo to offer attractive options to ship medi-cines and vaccines to patients living in Latin America. The new Copenhagen hub is proof of LATAM Cargo’s commitment to continue leading the transportation of phar-ma products to, from and intra Latin America. In 2017 the carrier was the first to re-ceive the CEIV Pharma certification in the Americas, reads a release. Figures released by IATA at the end of August show that air freight growth in July rose by 2.1% (FTKs) compared to the same month in 2017. This IATA notes was the slowest growth month since May 2016 and quite a way below the five-year average growth rate of 5.1%. DHL Express’s Birmingham (UK) facility has been awarded the Transported Asset Protection Association (TAPA) Type “A“ security certification. The TAPA certification was given for DHL Express Birmingham’s high security standards for transporting shipments through the supply chain. This is now DHL’s 300th TAPA certification for their worldwide facilities. TAPA certification is not easy to come by and is coveted by many companies wishing to prove to their customers that their freight is being guarded optimally against theft throughout the supply chain. DHL Express claims that they are now ‘the global industry leader’ as regards the number of TAPA certified facilities. On another note, Deutsche Post daughter European Air Transport Leipzig (EAT) has acquired five A330 freighters currently sidelined and formerly operated by Etihad Airways. They add to the company’s sub-fleet of A330P2F converted aircraft, comprising eight units and 10 more options. 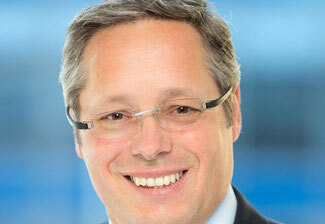 Laurent Binetti has been appointed as Chief Commercial Officer (CCO) for CEVA Logistics. Mr Binetti who has worked for the past 20 years for Dell where he has held various senior commercial positions in Switzerland and the UK, has taken up his new post on 1. September. At Dell, Mr Binetti was successful in developing new products and services and has recently supported younger entrepreneurs with start-up initiatives to help them set-up market strategies. He will be based at CEVA’s head office in Baar, Switzerland. 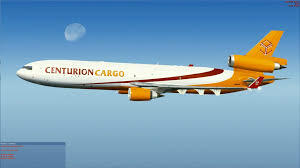 Miami-based Centurion Air Cargo which has a fleet of two MD-11 freighters and a single B747 freighter as well as operating a large 51,000 sqm warehouse in Miami, has decided to cease operations and it is reported that they have returned their Air Carrier Operating Certificate (AOC) to the U.S. Department of Transport (DoT). Centurion has been in trouble for some time and they were informed in January 2017 by the DoT that operations were to be suspended until they could prove that they were fit to operate. The carrier obtained an extension to operate from December 2017 to May 2018 and they also requested a further extension until the end of June this year. However, Centurion informed the DoT that they would cease operations and have returned their operating authority to the FAA and DoT. Centurion has been hoping for some time that a new investor could be found to fund them. This has not materialised. The carrier still has the opportunity to restart operations if it successfully applies for new certification, but hopes of that are now very far way. Swiss-based (Schindellegi) Kuehne + Nagel has opted to establish what they term as an integrated European region as of January 1. 2019. The ‘Region Europe’ will have its head office in Hamburg, Germany and will be headed by Dr. Hansjoerg Rodi who until now has been in charge of Central and Eastern Europe as well as being MD for Germany. 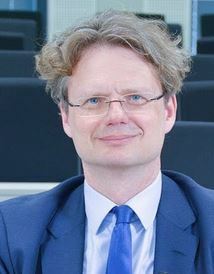 The German organisation will then be handled by Holger Ketz who is currently head of airfreight for Central and Eastern Europe. The German management will be located in Bremen as of January next year. The move to form the new European regional set-up is according to K+N to enable the company to become more customer orientated and increase operating efficiencies. Aviastar-TU, the Russian-based carrier which has four aircraft has now acquired their first B757 freighter. The B757-200 (P2F) aircraft which was formerly with American Airlines was converted to a freighter in the USA and ferried to Aviastar-TU’s base in Zhukovsky. The carrier also operates four Tupolev TU-204 freighters. Air Niugini Cargo intends to lease an ATR42 freighter from Port Moresby-based Hevilift Airlines. The aircraft will be used on regional charter work for the oil industry.